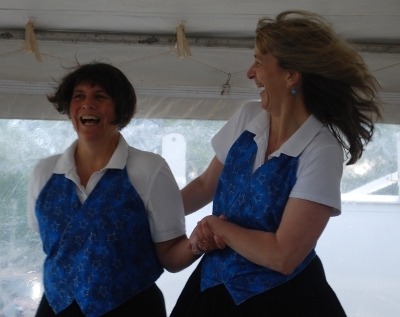 The Skyline Country Cloggers, based in Crozet, Virginia, is a non-profit club for the purpose of promoting and continuing the rich heritage of American clog dancing. 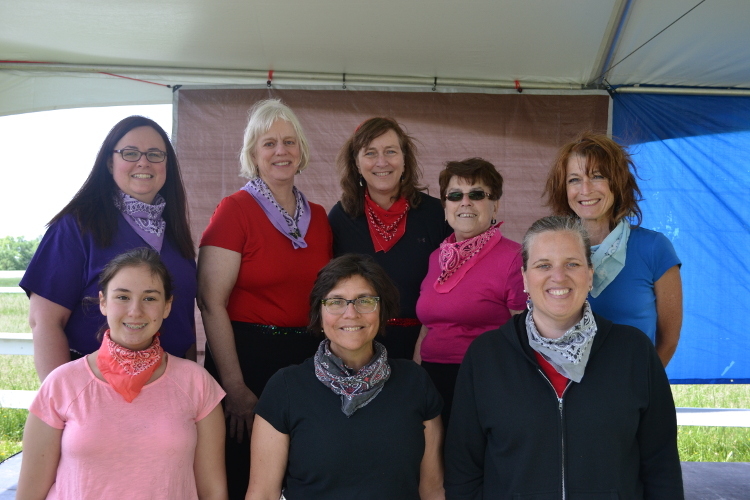 Our group was founded in 1987 and several founding members still dance on the team. Many others have been with the club for at least 20 years. While that longevity makes everyone feel like family, we also have some married couples and mother-daughters on the team. We teach beginning clogging through Albemarle County Parks & Recreation every year and welcome new members with clogging experience all-year long. While we have exhibited and competed at both state and national workshops, our focus is performing and entertaining. We dance to a wide variety of music from swing to popular, but like to maintain a core of bluegrass routines. About half of our repertoire is choreographed by team members, the other half we learn at workshops. We love being regular performers at the Crozet Arts & Crafts Festival, the Virginia State Fair and the Graves Mountain Lodge Apple Harvest Festival. We typically schedule 10-15 performances per year. Our team shares leadership and teaching responsibilities. While any member can suggest a dance and teach it to the club, primary teaching is shared between Becca White and Krisan Marotta. Becca joined the team in 1988, and begin teaching in the early 1990s. She is our artistic director, choreographs most of our routines, and writes and prepares most performances. Krisan joined in 1999 and begin teaching in the early 2000s. She teaches most of the dances we learn at workshops to the rest of the club, choreographs, selects music, schedules the shows, and designs many of the performances.